The Highway Code rules for drivers and motorcyclists, including vehicle condition, fitness to drive, alcohol and drugs, what to do before setting off, vehicle towing and loading and seat belts and child restraints. Vehicle condition. You MUST ensure your vehicle and trailer comply with the full requirements of the Road Vehicles (Construction and Use) Regulations and Road Vehicles Lighting Regulations (see ‘The road user and the law’). Vision. You MUST be able to read a vehicle number plate, in good daylight, from a distance of 20 metres (or 20.5 metres where the old style number plate is used). If you need to wear glasses (or contact lenses) to do this, you MUSTwear them at all times while driving. The police have the power to require a driver to undertake an eyesight test. carrying a load or pulling a trailer may require you to adjust the headlights. You MUST wear a seat belt in cars, vans and other goods vehicles if one is fitted (see table below). Adults, and children aged 14 years and over, MUSTuse a seat belt or child restraint, where fitted, when seated in minibuses, buses and coaches. Exemptions are allowed for the holders of medical exemption certificates and those making deliveries or collections in goods vehicles when travelling less than 50 metres (approx 162 feet). 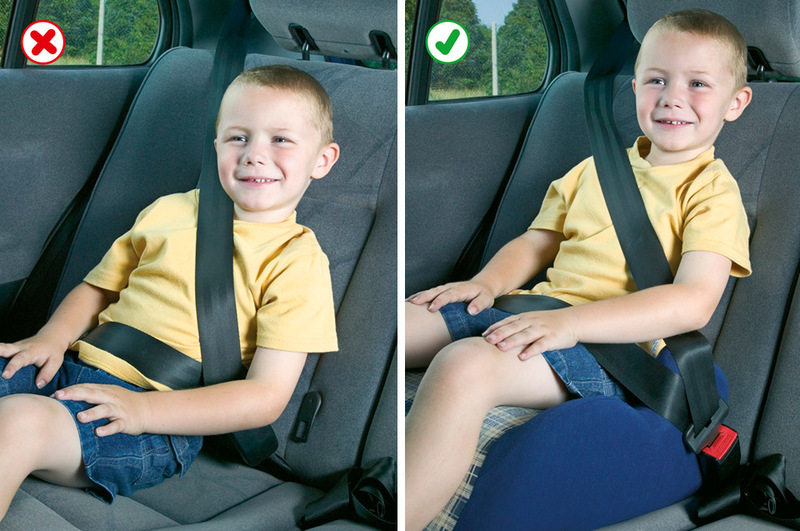 The driver MUST ensure that all children under 14 years of age in cars, vans and other goods vehicles wear seat belts or sit in an approved child restraint where required (see table above). If a child is under 1.35 metres (approx 4 feet 5 inches) tall, a baby seat, child seat, booster seat or booster cushion MUSTbe used suitable for the child’s weight and fitted to the manufacturer’s instructions.